The staff was very nice. I stayed in a private bedroom with two beds and was close to the restroom which was very ample and always clean. The location is perfect! Could not be any better. Perfect location! 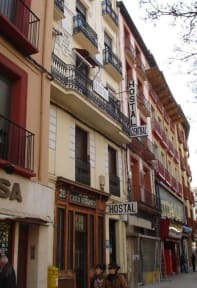 This hostel is close to the Historic center. The lady ( I assumed owner/proprietor) upgraded me to a private room. Muchas Gracias! Here, I was forced to speak Spanish ( struggling, but I was proud of it) as both attendants does not speak English. This is not a party place though no curfew. The people in Zaragoza are super friendly. Had a nice stay, bathroom had a very strong odor but the bed was very comfortable and the location was central. This is not a hostel but a small hotel, so don't expect hostel life. No activities or free breakfast, pub crawls etc. It also doesn't have a kitchen. But for what you pay, it is excellent value for money and very well positioned to explore the tourist attractions. The late check-out is a big plus. Also, it's nice and quiet so you actually get some sleep. My room was very clean, the bathroom average. Hot water, good wifi and many tapas bars in vicinity. Simple, but clean and very cheap accomodation. 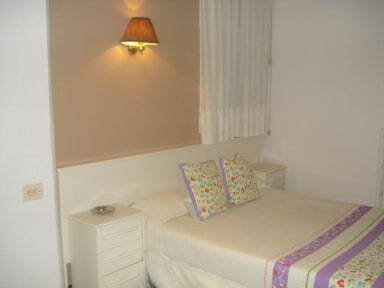 Friendly staff, great location right in the city centre, many tourist attractions in close walking distance. Good place to stay for a night or two. Its not really a place to meet other travelers but it was clean & the staff was nice. I could see it being less pleasant in the summer and they are busier, as with most hostels in Europe, the walls are quite thin, I could hear the guy in the room next to me snoring all night. Overall if I was passing through for one day, I would stay here again. Good location. The hostel is in an excellent location right in the centre of the old city so that everything is within easy walking distance. The room was adequate and comfortable. The shared bathroom was clean, although the shower was a little dated and didn't hang in its bracket very well. However, the hostel was good value for money. Very dirty, stains on walls and curtains. Odd smell. Friendly staff.